LoveNokia | Latest News and Information about Nokia Mobile: UPDATED: "Glossy Black Color is gone" | Nokia 8 to get a new color option? Glossy Black variant spotted!!! UPDATED: "Glossy Black Color is gone" | Nokia 8 to get a new color option? Glossy Black variant spotted!!! Nokia 8 is the first Android-powered flagship Nokia smartphone. It was launched in August at an event held in London. 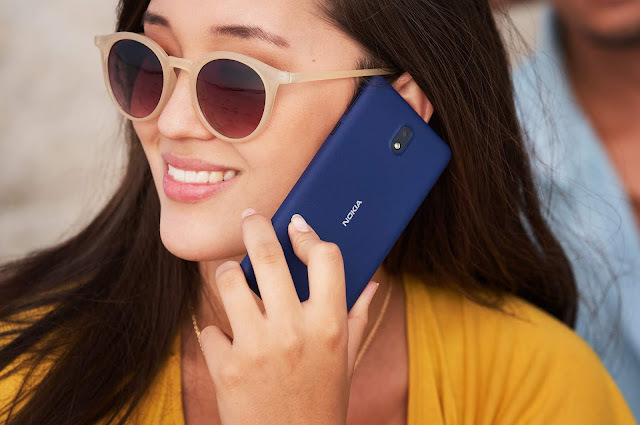 Since then the phone is available for purchase in many markets across the globe in 4 striking colors - Polished Blue, Polished Copper, Steel and Tempered Blue. 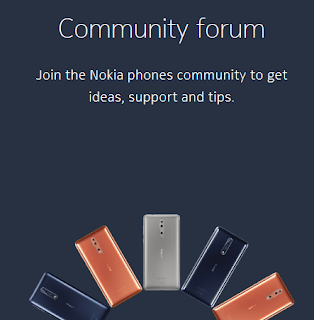 Now, Eero Salminen from Suomimobiili.fi has spotted an image of Nokia 8 in Black color on the official Nokia website. The image shows a Nokia 8 in a Nokia 6 like Arte Black color option. As of now, there is no info on when the Glossy Black version of Nokia 8 will launch but as the image has appeared on the official Nokia website we can assume that the Glossy Black variant has been planned and should launch soon. I would assume Nokia 8 Glossy Black to be a Limited Edition color variant with more RAM and Storage just like the Nokia 6 Arte Black Limited Edition. The Glossy Black image of Nokia 8 has now been replaced with the image of Polished Blue.